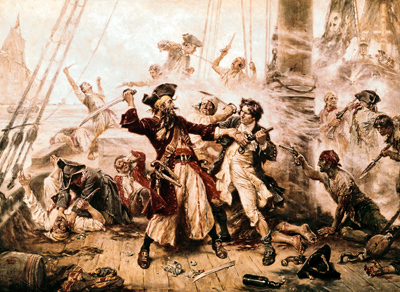 An interesting look at the life and times of pirates in the 17th and 18th centuries. This article explores the somewhat libertarian and communalist values which guided the life of a pirate during those years. 50. Woodcock - Anarchism: A History of Libertarian Ideas and Movements (London, Penguin, 1963), p. 284; Jason Wehling - 'History of the Black Flag: Why Anarchists fly it. What are its origins? ', in Fifth Estate (Vol. 32, #1, Summer 1997), p. 31; Le Pirate: Journal Quotidien #1-4 (1871) in University of Sussex Commune Collection - continuation of Le Corsaire. Sea Sheperd are nothing but pr-hungry clowns.